/ Uncategorized / ALABAMA vs CLEMSON@7PM NATIONAL CHAMPIONSHIP – GREAT FOOD & DRINK DEALS! ALABAMA vs CLEMSON@7PM NATIONAL CHAMPIONSHIP – GREAT FOOD & DRINK DEALS! 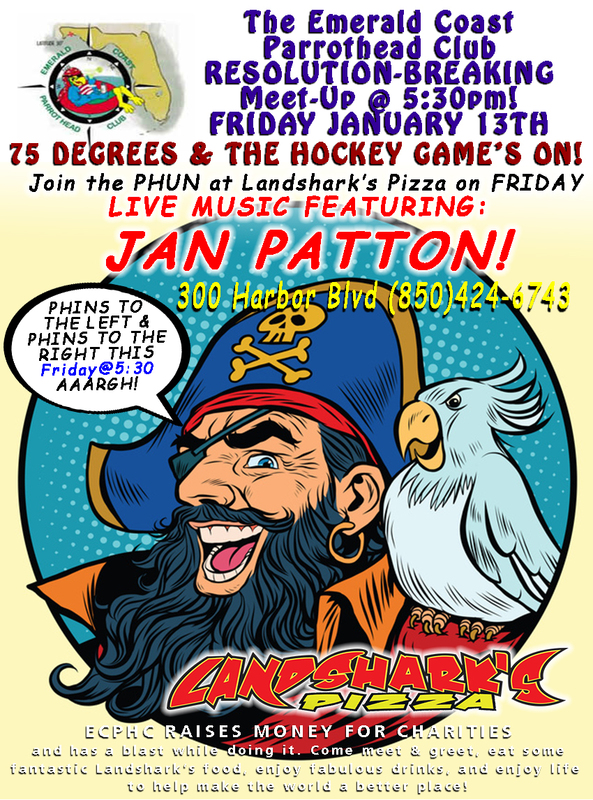 THE BIG SHOW IS TODAY @7PM at Landshark’s Pizza Company! Yes, it’s still BURGER MONDAY so come scoop that deal up, then stick around for CRAFT BEER TASTING@7PM (coincides perfectly with the game – only $10 bucks!). Regular Game-Time SPECIALS (dine-in): $8 Shock Top Pitchers|$8 Domestic Pitchers|$12 Domestic Buckets|$6 Bloody Brian Cocktail|$6.99 Bratwurst Sauerkraut & Seasoned Fries! CAN’T MAKE IT? CALL FOR DELIVERY – Best Pizza, Best Wings, BEST BBQ in Destin (850)424-6743! 300 HARBOR BLVD in Destin. Previous Post: « BURGER & CRAFT BEER MONDAY! 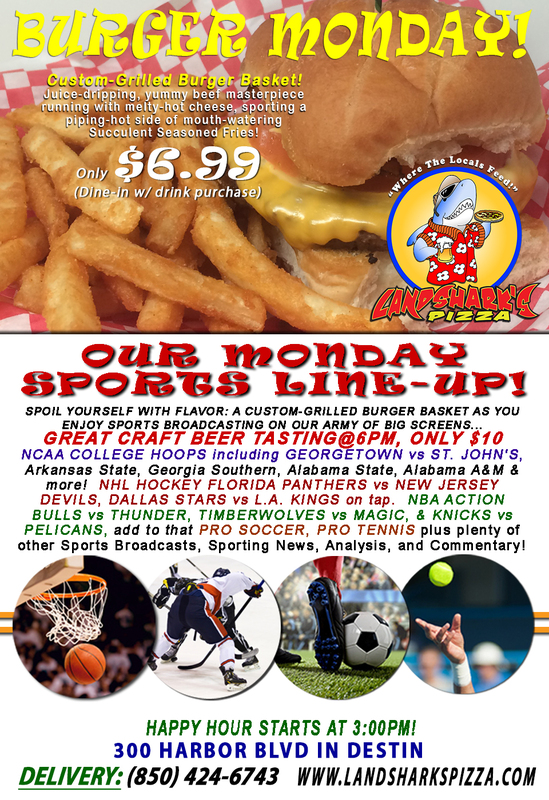 $6.99 Burger Basket, CRAFT BEER TASTING@6PM, COLLEGE HOOPS, NHL, NBA!